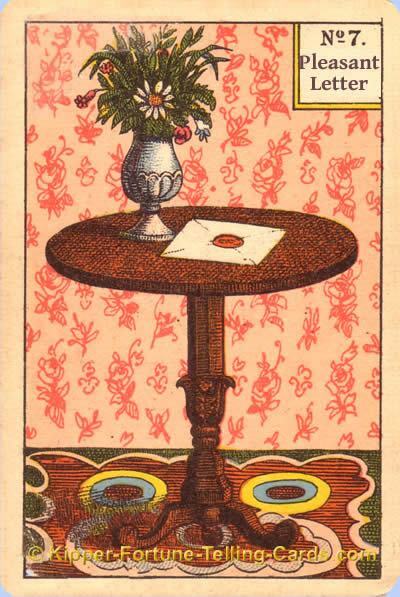 The card pleasant letter from the Kipper Tarot cards is about good news and positive papers you will receive. The message will inform from where comes the money. With negative cards in the surrounding this card is neutral and describes the thematic areas. Besides a subject card it shows the development of a good situation. Today you will receive good news and positive papers. This must not be a letter, it also can be an email.